Collectively and individually, we all have a role to play in creating supportive environments for healthy living. Thus, the Weight Coalition has developped tools to contribute to discussions and support the setting up of public policies to prevent and reduce weight problems. Feel free to share them in your network. 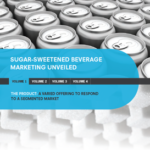 Would you like to make your entourage aware of or inform them on the consequences of the regular consumption of sugar-sweetened beverages? On the importance of healthy hydration? Take a look at our campaigns! 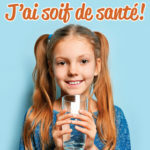 Lquid Sugar, not everyday!‘s objective is to make Quebecers aware of and inform them, in order to encourage them te reduce their sugar-sweetened beverages’ consumption. Watch the videos below and share them to help family and friends give an exceptional place to sugary drinks. School is an important living environment for young people. Considering its mission and the number of hours a child spends there each day, it shares the responibility with the parents as to the acquisition of healthy habits. 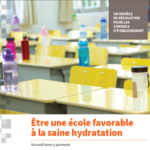 In 2017, for the 10th anniversary of the policy framework Pour un virage santé à l’école, the Weight Coalition has published the report Virage santé à l’école, 10 ans plus tard (available only in French), in which it presents its observations and recommendations. For a quick reading, the report’s highlights are presented in four themes (available only in French). In 2013, the Weight Coalition put together two expert committees, who expressed recommendations for the government, the school community and the municipalities. 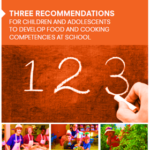 These aimed at implementing the required conditions for schools to contribute to the developpement of young people’s food and culinary skills and to a more active lifestyle. The following tools are for school boards. 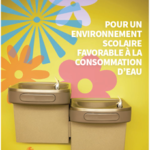 Their objective is to inform them on healthy habits at school and to support them into overcoming some of the challenges identified in the report Virage santé à l’école, 10 ans plus tard. The tools are flexible and can be adapted to the reality of each environment. They are only available in French. As part of the J’ai soif de santé ! campaign, the Weight Coalition has created infographics illustrating environments that are conducive to healthy hydration in a variety of youth environments, including schools. In collaboration with various partners, the Weight Coalition has developped tools to support the municipalities willing to facilitate the adoption of healthy lifestyles and the establishment of healthy environments. These turnkey tools present a convincing argument and a resolution model that can be reproduced and adapted to the needs and ambitions of each municipality. Several Quebec municipalities have already adopted them. As part of the J’ai soif de santé ! campaign, the Weight Coalition has created infographics illustrating environments that are conducive to healthy hydration in a variety of youth environments, including municipalities. Although municipalities do not have the power to control the type of food offering of a business or a restaurant, it is possible to restrict the establishment of new fast-food restaurants around schools. To learn about the possible planning options and the several benefits of taking action (downsizing of car transit and waste, support of school food policies, etc. ), refer to the guide The school zone and nutrition: Courses of action for the municipal sector and its summary sheet. The case study Limiting businesses with drive-trough service illustrates a successful approach in the borough of St-Laurent in Montreal.